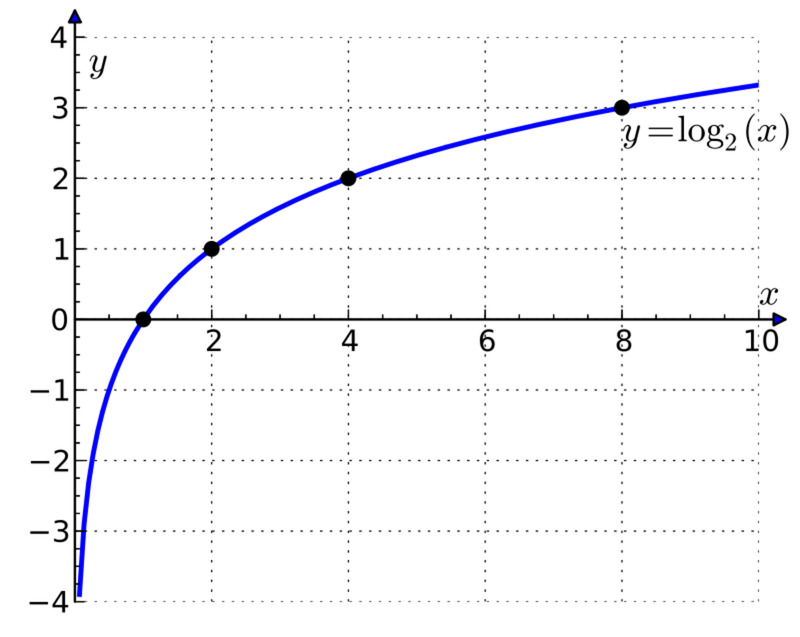 A polynomial is an expression containing two or more algebraic terms. 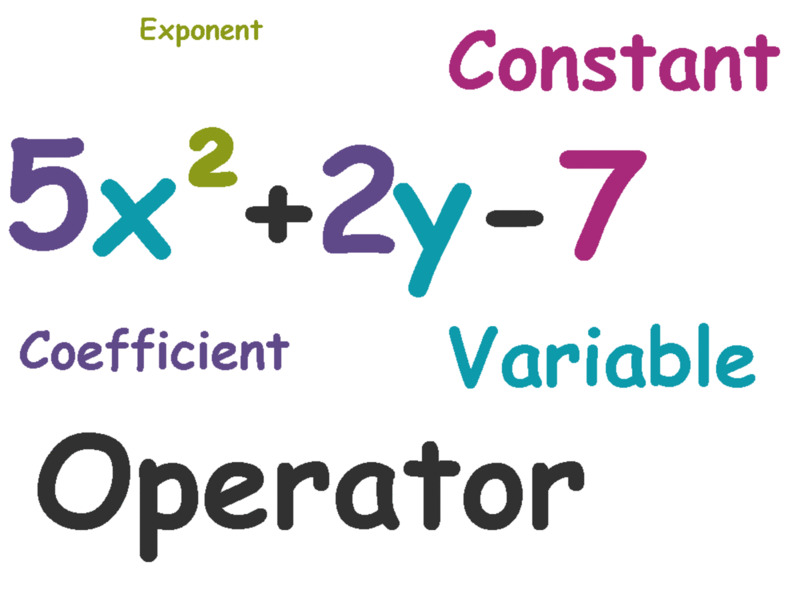 They are often the sum of several terms containing different powers (exponents) of variables. There are some pretty cool things about polynomials. For example, if you add or subtract polynomials, you get another polynomial. 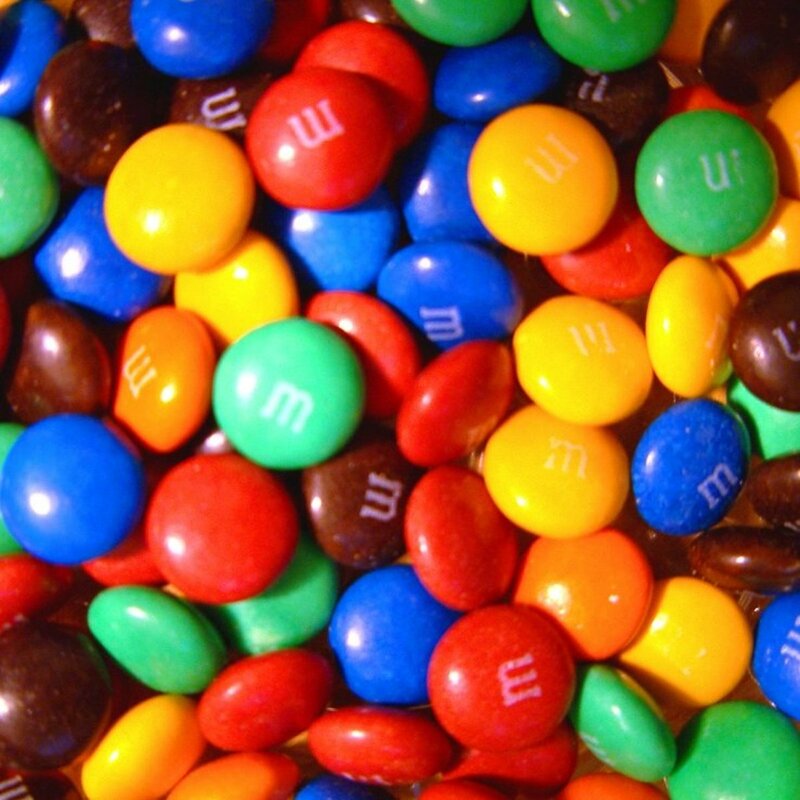 If you multiply them, you get another polynomial. The "poly" in polynomial comes from Greek and means "multiple." "Nomial", also Greek, refers to terms, so polynomial means "multiple terms." Constants - these are numbers like 3, 5, 11. 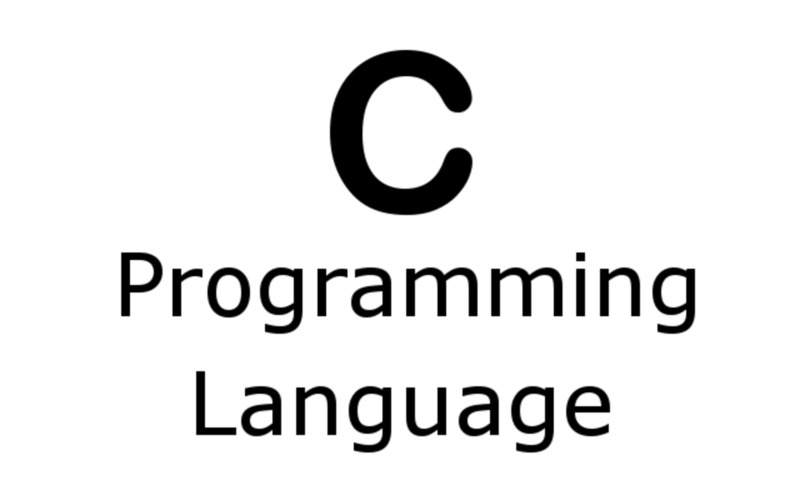 They are sometimes attached to variables, but can also be found on their own. 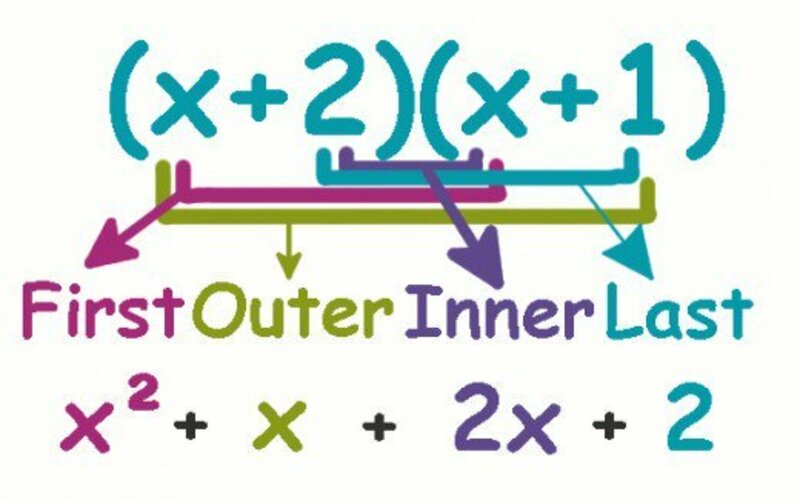 Exponents - exponents are usually attached to variables, but can also be found with a constant. Examples of exponents include the 2 in 5² or the 3 in x³. Polynomials cannot contain division by a variable. For example, 2y2+7x/4 is a polynomial, because 4 is not a variable. However, 2y2+7x/(1+x) is not a polynomial as it contains division by a variable. Polynomials cannot contain negative exponents. You cannot have 2y-2+7x-4. Negative exponents are a form of division by a variable (to make the negative exponent positive, you have to divide.) For example, x-3 is the same thing as 1/x3. Polynomials cannot contain fractional exponents. Terms containing fractional exponents (such as 3x+2y1/2-1) are not considered polynomials. For example, 2y2 +√3x + 4 is not a polynomial. 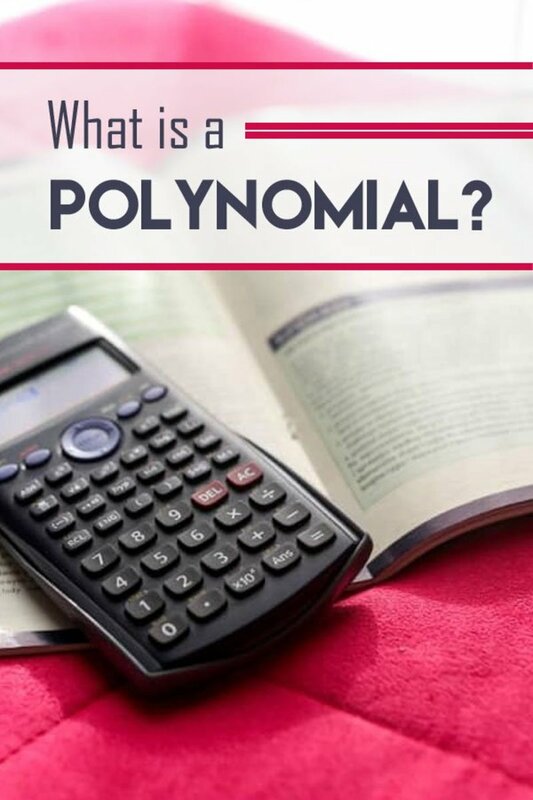 To find the degree of a polynomial, write down the terms of the polynomial in descending order by the exponent. The term whose exponents add up to the highest number is the leading term. The sum of the exponents is the degree of the equation. Example: Figure out the degree of 7x2y2+5y2x+4x2. Start out by adding the exponents in each term. The exponents in the first term, 7x2y2 are 2 (from 7x2) and 2 (from y2) which add up to four. The second term (5y2x) has two exponents. They are 2 (from 5y2) and 1 (from x, this is because x is the same as x1.) The exponents in this term add up to three. The last term (4x2) only has one exponent, 2, so its degree is just two. Since the first term has the highest degree (the 4th degree), it is the leading term. The degree of this polynomial is four. 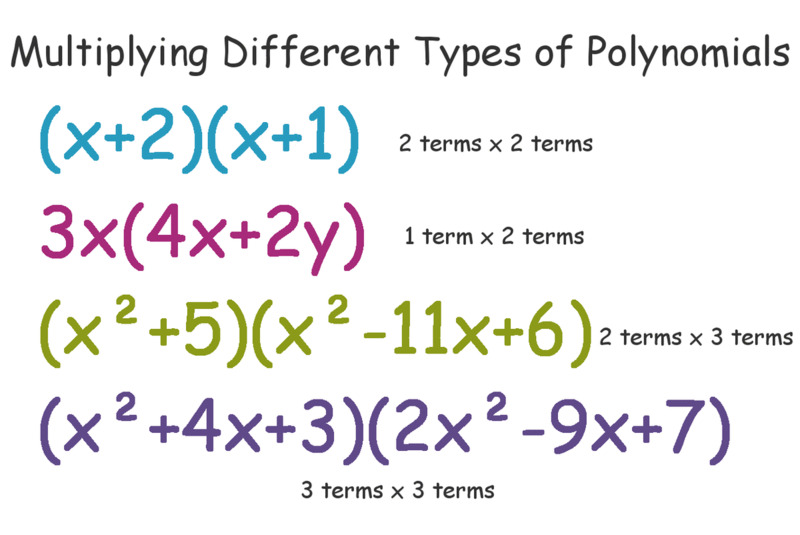 Monomials - these are polynomials containing only one term ("mono" means one.) 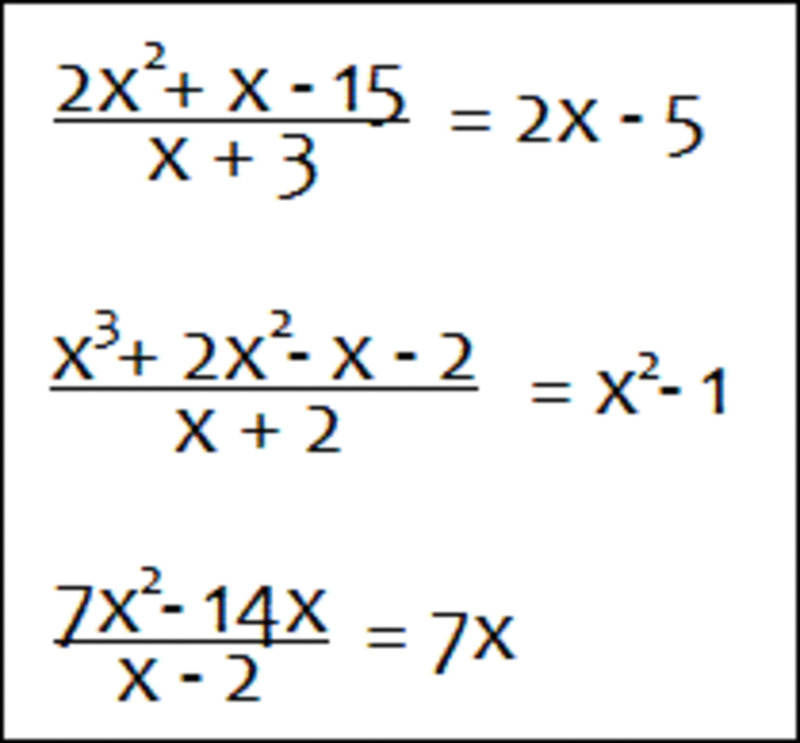 5x, 4, y, and 5y4 are all examples of monomials. Binomials - these are polynomials that contain only two terms ("bi" means two.) 5x+1 and y-7 are examples of binomials. 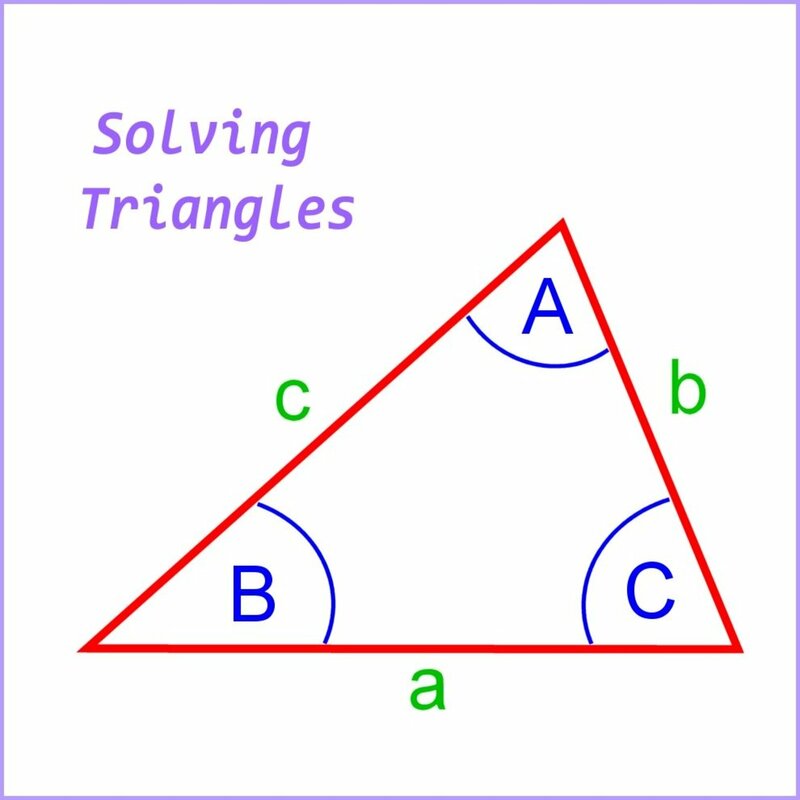 Trinomials - a trinomial is a polynomial that contains three terms ("tri" meaning three.) 2y+5x+1 and y-x+7 are examples of trinomials. There are quadrinomials (four terms) and so on, but these are usually just called polynomials regardless of the number of terms they contain. Polynomials can contain an infinite number of terms, so if you're not sure if it's a trinomial or quadrinomial, you can just call it a polynomial. A great hub. I love maths, but I'm a little rusty on the terminology. So thanks! Another great math hub Mel. 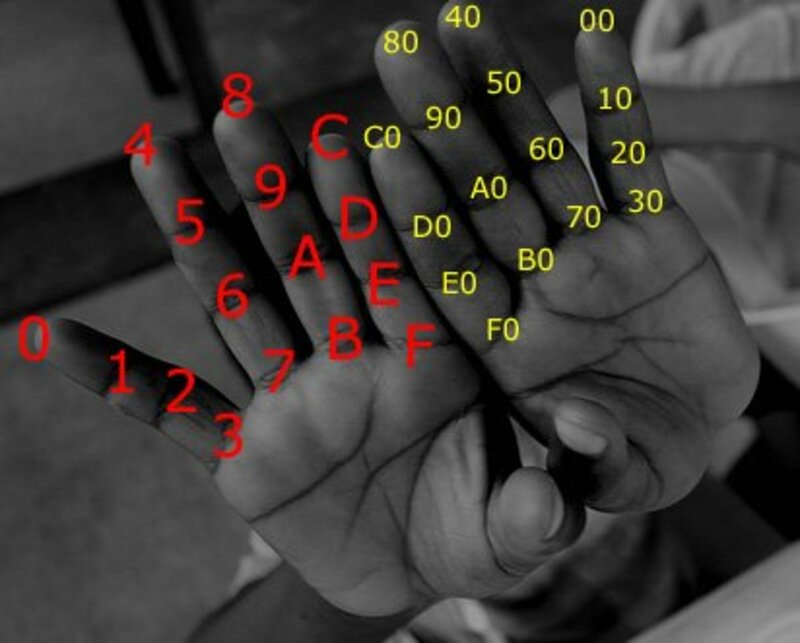 Very useful for those struggling with these concepts and there are many out there including parents struggling to help their kids in grades 6 to 8 with basic algebra. A very nice treatment of this topic and I think you should also create a YouTube channel and make short videos to go with each of your hubs and before long you will have lots of mathematics students following you. Great work. I have to confess, I got confused and frustrated after the first paragraph. Math and I don't get on. But from what I could comprehend this seems to be a good hub and I don't doubt you'll be helping loads of people who maybe didn't understand their instructor's explanation. 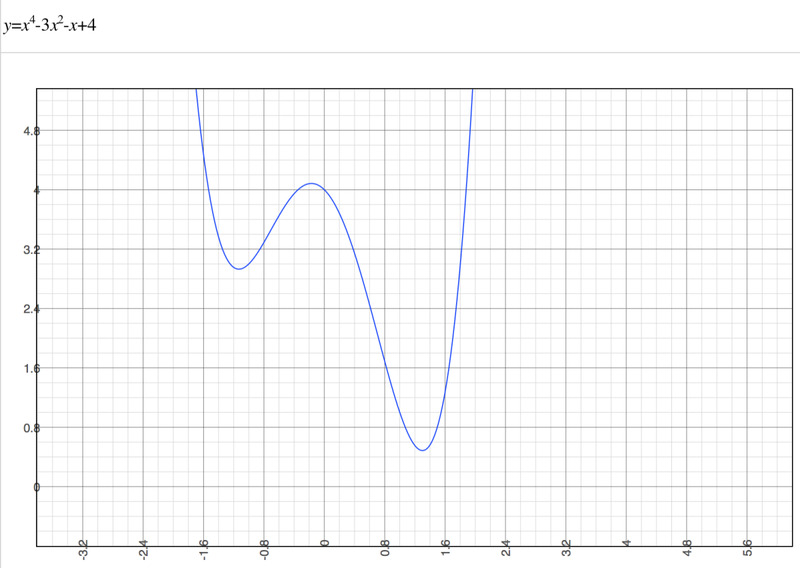 Excellent explanation of what a polynomial is.